William Acworth was born in 1803 at Chatham in Kent, the third of eight children, and studied at Queen's College Cambridge. Installed as a curate at the Babington Manor of Cossington in 1832, while its Rector, John Babington, was doubling up as the Vicar of Rothley. One of the last acts of Thomas Babington before he died was to install William Acworth as the Vicar of Rothley, in 1836, where he created the National School in 1837. 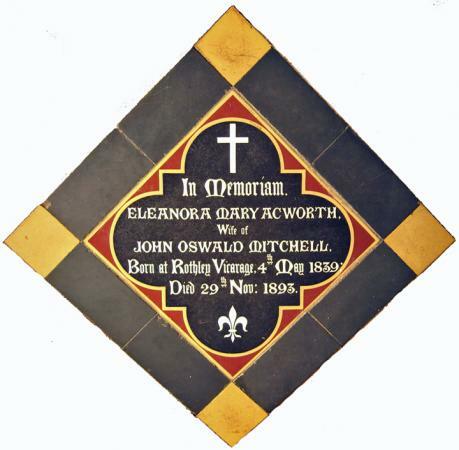 Revd Acworth's second of four wives died in 1846 at Rothley Vicarage. 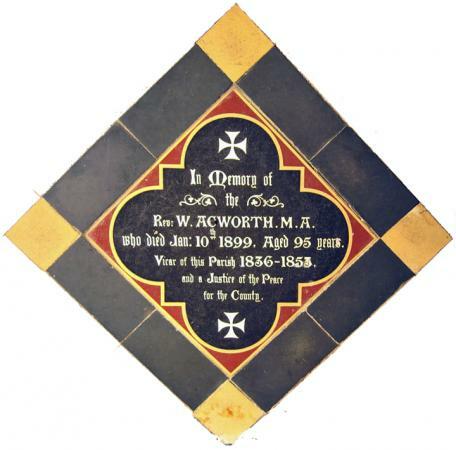 William Acworth transferred to a parish at Plumstead in Kent in 1852. 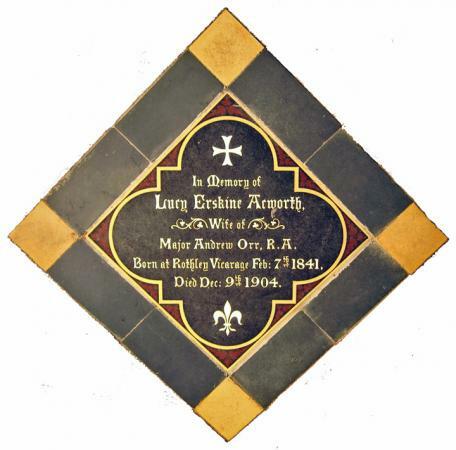 His daughter Eleonora married a Glasgow-born military officer serving at the Woolwich Royal Arsenal, thirteen years her senior, and had many children by him in their settled home in Govan. William died at Bath aged 95, lovingly attended by his fourth wife. Carr Glynn followed his father William in taking up the ordained ministry and was one of the executors of his father's extensive will. 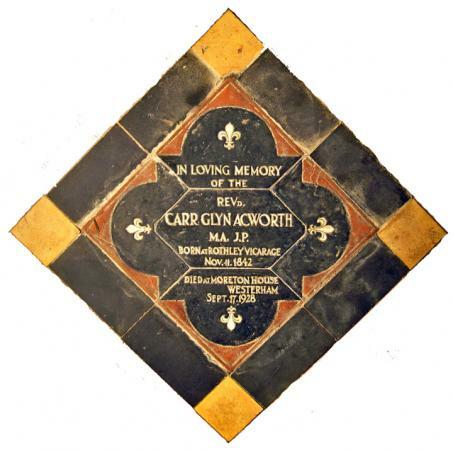 Carr Glyn was probably responsible for organising the placing of the previous Acworth memorials. This must have been recognised by his own executors, who in 1928, many years after the last Victorian-style memorials were laid, arranged for this example to be produced. XHTML 1.0 validated. WCAG compliant. Page generated in 0.2219 seconds.